The picture above is actually how our week ended. 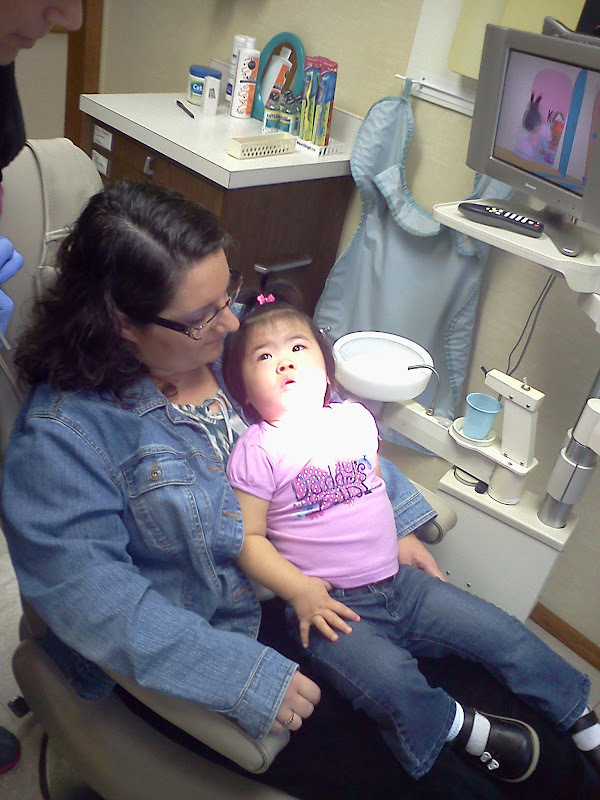 Mariah had her first dentist visit. Not really for a cleaning but for a check-up. 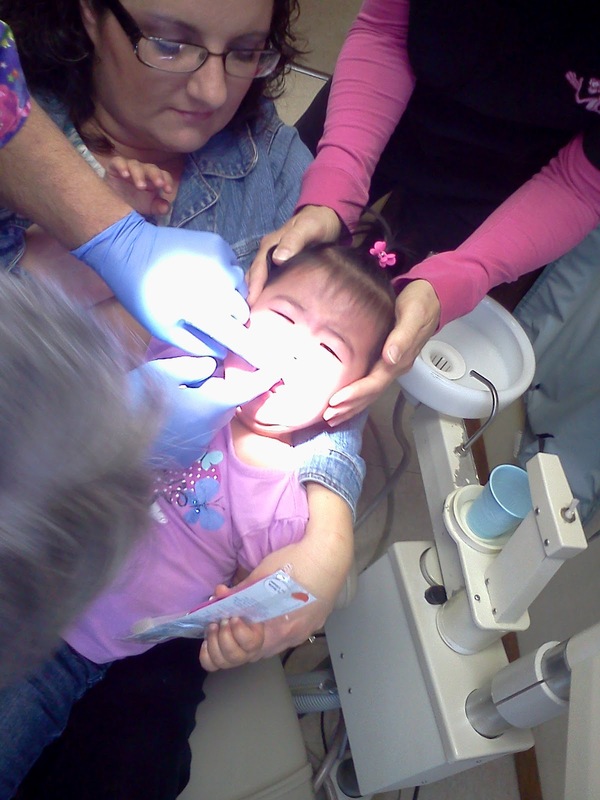 We needed to know if her teeth were healthy or needed a little help. Then she realized something was not quite right. She had to sit with me now. Can you see the fear? It really was so sad. Our dentist is such a sweet Christian man. He is also in the process of adopting and has shared his story with us before even telling anyone else. 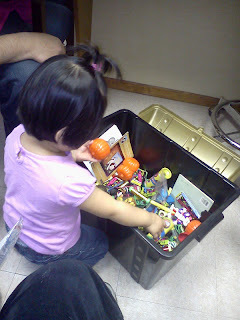 So, it was unprecedented that he brought the treasure chest into the room for Mariah to choose her toy. Thank you Dr. Powers! You are the very best! So, now to go back to the beginning of our week. On Monday I had to take Kyle to the pediatrician's office to get his allergy shot. I normally give them but this was a new set of injections, so we have to have those done in the doctor's office. 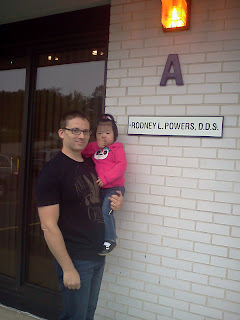 When we walked into the busy waiting room, guess who we saw........Dr. Power's with his kids! This is probably the forth or fifth time we have run into him there.﻿ We do make quite the scene everywhere we go. Mariah and her Squeaky shoes are the "attention-getters". Tuesday was supposed to be a low-key day spent home schooling. However, Ben had me up for part of the night complaining of his tooth hurting. This persisted through breakfast and I called Dr. Powers. They told us to bring him in immediately but be prepared to have the tooth pulled. Of course, that was my secret. Since this is the same tooth that had a filling this spring, there was really no option. After an x-ray, there was no real decision. There was infection and the tooth had to come out. Poor Ben. I feel like he can't catch a break. In Dr. Powers' words, "the tooth just slid out"! It wasn't quite that easy but the job was completed and we were home for lunch. Sweet Mariah is still running a low grade temp. Our pediatrician's office has no idea what is going on. A repeat urinalysis was negative for infection. We were deferred to our endocrinologist. He consulted an infectious disease doctor and the additional labs were ordered. Thursday morning, I ran Mariah down to Camden-Clark and had her blood drawn. I was worried since WVU hospital had a tough time with her labs. As usual, Mariah charmed everyone there and the lady successfully drew her blood. The lab did beautifully! Thank you Camden-Clark for a fantastic job! Monday was shots and fever check at pediatrician's office. Tuesday was an unexpected dentist visit. Wednesday was spent at home for school. 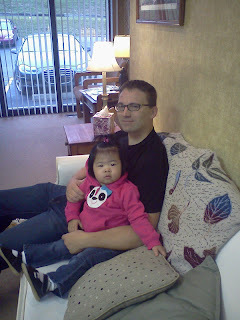 Thursday, I took Mariah for her monthly blood work. Friday was back at the dentist for Mariah's check-up. Really a pretty normal week for us. We filed our paperwork for readoption several weeks ago. We finally got the adoption decree for Mariah. This was not necessary but we wanted a paper trail for her in the states. If we lost her Chinese birth certificate, it was made very clear to us that it is impossible to get another. This legally changed her name to Mariah Claire LuPing Kaminski! I will say this, we had to get an attorney involved to help with our post-adoption requirements. This is why we expedited our readoption paperwork. We are emotionally exhausted after trying to resolve this matter. We should not have to worry about this once home with a new baby. We still are attempting to establish meaningful communication with them again. I will leave things at that concerning our home study agency. We also have decided that Cincinnati Children's is not the right place for Mariah to receive her surgery. I have spent hours researching doctors. I spoke with several families the past few weeks and one doctor's name kept coming up, Dr. Rink. The phone call was made to start the process to get her in to Riley Children's Hospital in Indianapolis, IN. We are confident this is the right choice for Mariah. Dr. Rink is one of the top two doctors in the world specializing in her specific surgery. The other doctor is in NY. Dr. Rink is just a little closer to us. He will be calling me in the next couple of weeks and we should have a clear plan. We are blessed to have found him and live close enough to even consider him as Mariah's doctor. I enjoyed a few minutes at the piano with a little one who loved to press all of those programming keys. I'm not even sure how she did some of that. On a really great note, my sweet Mariah began to give me hundreds of unsolicited kisses! I was shocked. Normally, I ask for a kiss and she obliges. However, this week Mariah just started offering them to me for free! She also began to cautiously lie her sweet head on my shoulder. Even if it is just for a few seconds, it is progress for sure. Even though I am ashamed to show this picture, I hope you understand why I am so far behind. My ironing is out of control right now. Keep in mind that my sister gave me a bunch of clothes for Ben and many of the khakis and shirts must be ironed. The rest is just my normal amount for about 4 weeks.This is a task that I clearly do not enjoy. Mom, can you come down and iron for me? Pretty pathetic I know. But she would come if I really asked. I love my mom! Better yet, she loves to iron. I shared this picture below on my Facebook page as well but it was noteworthy. Rebecca took this spot on one of my white boards and spent time drawing me. I was greeted with this one morning when we began school. It was so sweet. I wish I was as skinny as she depicted! She is never one to shy away from telling me how much she loves me. She even wrote, "I Love Mom" at the hem of my jeans. And she put me in red shoes! For those of you who don't know red has always been my favorite color, hence my wedding colors! Have a great week and I'll make an honest effort at all of that ironing providing there are no teeth to be pulled, blood to be drawn, or shots to be given at the doctor's office! I looked up from the computer after watching our church services on Sunday morning and this is what I saw. I made him wait so I could take this picture. Kyle is such a good sport! Sorry it is a little blurry. She is constantly on the move. Mariah kept moving closer to me as I tried to snap this picture. Now to explain the title of this blog post. "JEREMY IS THE MAN" is what I found at my printer this morning as Mariah was.........uh hummmmmm.....exploring! To elaborate on this. Oh, my life is not boring! My computer has been my lifeline throughout this adoption. The paperwork was immense, to say the very least. Without my computer we honestly would not have been able to complete this process. Jeremy has a hate/ hate relationship with my computer. He is not entirely against pcs but definitely prefers his Mac. He bought his Mac a few years ago to be able to edit. For those of you who do not know, Jeremy is the media pastor at our church. He directs and edits the Sunday morning services at our church to be aired on the local CBS, NBC, and FOX affiliates as well as the church's television station. He spends approximately 12 solid hours just editing the service. Then he matches the closed-captioning transcription to the actual video/audio. Jeremy also edits and shoots commercials, scripts commercials, voices commercials, and runs the church's radio and television stations. He spends his entire day on the computer. Let's just say when he began using his own Mac......his entire world changed! He loves that computer. Macs are known to be excellent computers to use for video/still editing. For a while, I thought Mac was our fifth child! When it comes to a pc..........he gets frustrated. Not necessarily with the pc but the operating system. My HP has Windows Vista.....aka, Jeremy's nightmare. My printer is a wireless printer. However, after spending 3 hours on the phone with a woman in the Philippines, I was still unable to resolve the problem. My computer at one time worked okay. It has always been glitchy but it eventually worked. It is an understatement to say my printer no longer communicates with my laptop. Both are HP products and are only 2 years old. We know it is not the printer. Jeremy's old laptop (Dell) works fine with my printer. His operating system is Windows XP. He has decided it is my operating system. It is the thorn in his side. So he began to work on it yesterday. The paper that reads "JEREMY IS THE MAN" is what I found today sitting in my printer. I always tell Jeremy that he is the man. I guess it finally sunk into his brain! Above is another example of Mariah's mess-making ability! This is a rare moment! Mariah allowed Ben to be close to her. He was reading her a book. I had to capture it before it ended and Jeremy didn't believe it! Here is our awesome baby monitor. It also has a great night light. I think Jeremy is jealous of this. Mariah goes to bed with the ceiling fan running, lullaby music playing, and this blue light glowing. He said she goes to bed at a spa. Here is a sign I had to make that as you can see says,"shhhhh......Baby Sleeping". I had to make this since our neighbor kids love to ring our doorbell. That will wake a sleeping toddler quicker than anything. You'll be happy to know that as of three weeks ago, the doorbell has been disconnected. Yes....we walk on eggshells. Here is my sweet Ben. Oh this boy melts my heart! Thursday we took him and Kyle to Morgantown to see their ENT. Honestly, I thought the appointment was just an easy 10 minute in-and-out. Well, the doctor didn't like how Ben's voice sounded. For those who don't know my Ben, he often times has a very raspy voice. Knowing Ben's health history, the doctor wanted to scope him. Poor kid! He put a flexible scope down Ben's nose to his vocal cords. We learned that Ben has a nodule on his left vocal cord. This is not serious and is common in children who scream. Ironically, screaming is one of my pet peeves. It then was discussed and the doctor believes it is from two things. The first is his reflux that he has had since he was born. The second explanation is his maintenance asthma inhaler, Symbicort. Sometimes we feel like this kid can't catch a break. There is really nothing that can be done. I'll leave this long-winded post with sharing a few things. Mariah is struggling with some kind of infection. She continues to run a low grade fever every day for over 2 weeks. We treated her UTI for a full 7 days using Bactrim. The doctors are suspicious it is either a secondary infection or the infection has gone to her kidneys. We are praying for some answers this week and try to get this child healthy. On the bright side of things, Mariah has gained six pounds since we received her 97 days ago. That weight gain really began once we got to the states a mere 86 days ago. I think she likes American food! I almost forgot.....Jeremy is the man! He is also not impressed that I just wrote about this! Getting into the swing with school this year has been a work in progress. To any inquiring minds.......homeschooling is tough! It is not for wimps! We quickly realized how important the schedule is for Mariah. She is a creature of habit. We have rearranged our entire way of homeschooling. Mariah also has mastered climbing...... specifically onto the kitchen and dining room chairs. Enjoy the following as proof of her newly master feat! This above picture she decided to climb up and help Ben with his school work too. He was not impressed. The above picture is one I posted on my Facebook page. She reminds me of a tornado. Notice the toys on the floor. She grabbed Ben's police handcuffs and climbed up. I guess she doesn't realize that table was her great-grandmother's table many years ago. She was so proud to be up in that chair. She looks so sad in the picture and I not really sure why. I caught her pulling out the chair to climb.......again! This daughter of ours is a terrific eater! We also know she likely eats so well due to the lack of food she had at her orphanage. She must be enjoying the variety she now can freely eat. Here was evidence that she leaves nothing on her plate. Mariah enjoys a good book. As I was cooking supper one evening she brought out her book for me to read. So, I stopped what I was doing and sat down right where I was and read to her.......three times! Do you notice the lock on the cabinet doors behind me? Never had those before until this sweet child. A few evenings ago she walked into the livingroom carrying that very lock and my bottle of Palmolive! My boys took out the trash and got a bag from under the sink. Someone forgot to lock the cabinet! We also have been trying to take walks in the evening. We enjoy just getting out as a family. Sometimes it is the only sunlight I see. Our older kids enjoy their scooters. We usually have Mariah in her stroller. I did take her out the other night to see if she wanted to just walk holding my hand. She was so afraid to be out of the stroller. I really surprised us. She was petrified to walk on the road. Eventually she trusted me and enjoyed the walk. I guess she already wants to be grown up. Do you remember that this is the same little one that just 2 1/2 months ago had a difficult time just walking? This picture below is one I took going to a wedding on Saturday. I will admit that I would love for this to be the road to my house. This wedding was so pretty. It was located in a barn on a beautiful 106 acre farm. Oh, I would love to have just a fraction of this land! We had to get a picture of us as a family as well. I am disappointed with this picture. I think there was something on the lens of our camera. This week proved to be one that Mariah did not feel well. 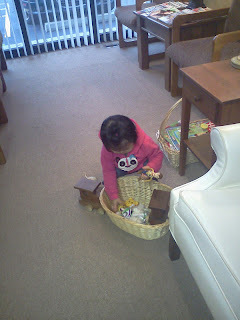 I took her to the pediatrician's office on Wednesday. Surprising to me, she had a fever. Talk about feeling like a terrible mom. How did I not realize the 100.1 fever? She has been a little fussy and has had many, many, many wet diapers. We found out she has a urinary tract infection. That explains a lot. Along with the antibiotic we have to give her stress doses of Cortef. Any fever over 100 requires stress dosing, per her endocrinologist. Here are our five sweet kiddos. How blessed we are to be the parents to these children! More of the same this week as we travel to Morgantown for doctor appointments. I did have surprise overnight guests last night (Monday) as my sister and her husband came to spend the night on their way to a work conference for him. We always have room for family! I'm still working on attachment with Mariah. It is a process for sure. She still prefers Jeremy over me. It makes me sad yet helps me be even more persistent. She fell and hit her head the other day. For the first time she cried when she got hurt. I rushed to get her and she immediately tensed up and used the palms of both hands and pushed against my chest. She absolutely wanted nothing to do with me. I felt like crying. I will love her no matter what. One day she will know that. I was fixing dinner on Wednesday evening and I turned around and saw this sweet girl! She grabbed Micah's hat and was being silly. There she was complete with her Mei Mei shirt and Micah's Ch*nese hat! Let me begin this post by saying that none of what I am about to share came as a surprise to us. 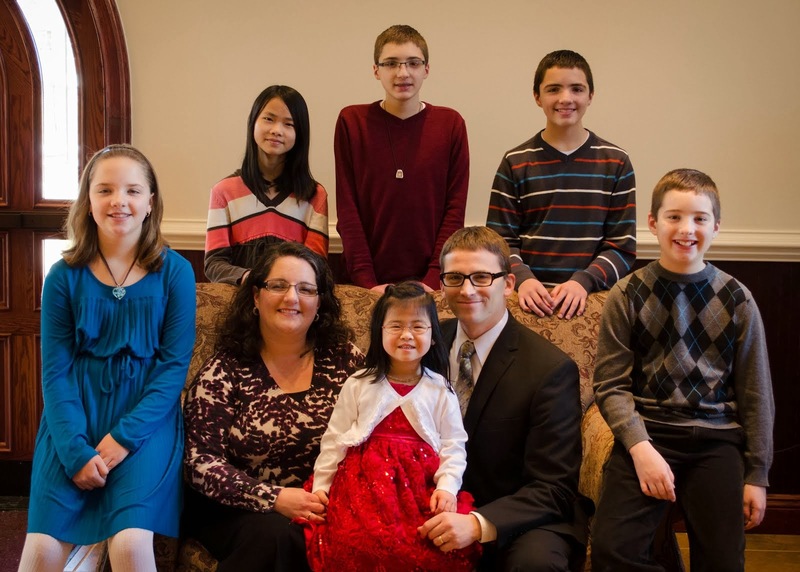 Jeremy and I pursued a child with special needs when we began our adoption process. We were matched with this precious girl based on the special needs we agreed to accept. I have been vague mentioning Mariah's medical special need as we needed a firm diagnosis. Her endocrinologist called us a week and a half ago. There was only a slight surprise as he shared with us the results of her blood work. Mariah was born with a congenital adrenal insufficiency. Like me, many of you probably do not know or understand what that means. It is complicated and little information is available. We have read like crazy since December in an attempt to learn more about this baby meant for us. However, without knowing the details of her blood work we were merely guessing. We were told Mariah likely should not have survived past her first fever. Mariah's adrenal glands do not function properly. In fact, her adrenals do not have the ability to produce the most important hormone the human body needs to support life itself. She cannot produce cortisol. It is truly amazing and only by God's grace that this baby has not gone into adrenal crisis without treatment. She has received absolutely no treatment since birth. Any stress on her body can put her into adrenal crisis. Stress could be something as simple as a fever, vomiting, diarrhea, or even her Gotcha Day and taking her away from everything she has ever known. A large stress is any surgery, a broken bone, or trauma. It is quite humbling to think that all these months God has protected this baby. This blood work also showed us that she does not properly retain sodium or potassium, this is the severe form of the disease. She was prescribed oral hydrocortisone three times a day in an attempt to replicate the effortless design that God intended for our bodies to perform. As you can imagine this is a puzzle for her doctors to put together. She also was prescribed a medication (orally) to take once daily to help with her sodium/potassium insufficiency. Mariah will take hydrocortisone three times daily for the rest of her life. We have also been given instructions on stress dosing for Mariah for when she is ill. If either of these levels drop, she can go into adrenal crisis. So Jeremy and I have to learn her cues and follow them. For some wonderful reason, her life has been preserved. Now Jeremy and I have to learn as much as we can so we will one day teach her how to manage this. She will be wearing a medical alert bracelet and I will be carrying in IM vile of Solu-Cortef (cortisone) with a needle to give an emergency injection in case she suddenly has an adrenal crisis. Unfortunately, there is so little known about this that most ambulances do not stock their buses with this hormone. So our responsibility is to train our other kids as well and be prepared to train emergency medical professionals, since so little is known. Hopefully we will be prepared for something that will never happen. I guess we will prepare for the worst and pray for the best. As you can imagine, any stomach bug is life-threatening for her. If she vomits more than once or has more than one bout of diarrhea we have been instructed to take her the the emergency room for intravenous fluids. Since she is vulnerable to dehydration followed by adrenal crisis we cannot take this lightly. Since starting the medication to prevent dehydration, we have noticed a little difference. For the first time we have seen tears. It didn't occur to us that she just didn't have the reserves to produce her own tears. We are learning, daily! As the doctors attempt to find the correct dose of hydrocortisone to mimic what naturally should be happening, we will be taking her for monthly blood work. We are praying that our hospitals here are capable of drawing blood on an infant. After the dose is verified, Mariah will have blood work every other month, probably for the rest of her life. Mariah also needs reconstructive urological surgery. It will likely be multiple surgeries. This also was not a surprise to us. We are waiting to see those specialists to give us more of an idea what to expect. Unfortunately, she is a complicated case and it will take some time for surgeons to develop a plan to help make her healthy. You may wonder if we would have accepted this little one if we had known all of these details. ABSOLUTELY!!! We know that we are her parents. She was chosen for us. She was fearfully and wonderfully made just as our other four children. We believe that in all of these years of parenting, God was preparing us for each of our children. Our Benjamin has been our introduction to a complicated medical case.That poor child regularly sees six specialists and another specialist as needed. Mariah deserves as much of a chance to learn about God's love, the love of a family, and to receive the medical care that she desperately needs. Jeremy and I are not upset over this at all. Like I said, we knew all of this but decided to share it once we had more information. You probably now understand why in an earlier post I mentioned that Mariah was considered a difficult placement. She was one of the least likely to be adopted on Ch*na's Special Needs list. Little did they know that Jeremy and I were waiting on this specific child. She is a blessed baby to have four siblings that adore her. Here is a small sampling of what Baby Cakes (Jeremy's nickname for her as he nicknames all the kids) enjoys around our house. That is until I hear the older kids say, "Mariah, go see Mama!" They put her in my clothes baskets and scoot her all over the place! In the picture below, Becca was trying to play Pat-A-Cake. Kyle wanted to take her outside to play. She ran to him and sat down so excited to get her shoes on and go bye-bye. Here are the kids just before church on Wednesday night. They all began their new AWANA year.....even Kyle. He loves to serve. So, again this year he will be helping Jeremy occasionally with Game Time. Tell me how our Ben is now in Truth And Training? Shouldn't he still be in Cubbies? School began on Tuesday too. It was an honest attempt. Yet it was rough. Mariah was not at all impressed that we were preoccupied. She was very busy and not really happy. I snapped this picture as she was chewing on a spoon at the small desk. Friday evening was an impromptu dinner with my sister and her family. I needed to borrow some of her school books and we planned to meet up for supper at Wendy's in Logan, OH. The kids were playing in some grass and it started to rain. We all hurried to our cars. Evidently, Jeremy had time to snap this picture! Tammy saved the day/evening! She had her smartphone and found a park that was just round the corner from Wendy's. Then the rain stopped so the kids could play. Kyle has such a great sense of humor. He even enjoys making fun of himself. Aunt Tammy was happy to play with Mariah. Here is Abbie just absolutely loving on Mariah. Sweet Sarah loves Mariah. I wish the feelings were mutual. Evidently, Mariah had things to do an places to go. We had to get a picture of all of these sweet kids together before we left to go back home. So here are Tammy and Don's three kids and our five! Saturday night wrapped up so well. Karen (LuXue's mom) and I arranged for Mariah and LuXue to Skype with each other. These girls spent their first 18 months in cribs that touched each other. Every time we ask Mariah about LuXue, she grabs her right ear at the top and pulls. Jeremy jokes that quite possibly Mariah and LuXue were the orphanage bullies and this was their gang sign. We will keep these girls in contact with each other. We are trying to arrange a face-to-face visit for them in the future. Here is a picture of Mariah (more like all of us) Skyping LuXue! Everyone enjoyed the video chat! We ask that you keep Mariah in prayer. It will be a very long road for her. We ask for prayer to give Jeremy and I wisdom as we treat her and make some difficult decisions. Also we ask that you join us in prayer to find her the very best doctors. If you only knew our Micah and his absolute disdain for writing or drawing you could appreciate this picture. Micah drew seven ladybugs at the end of our driveway. I begged Jeremy to hop out of the van the other day to snap the picture! (I believe he thinks I am absolutely nuts!) I was pleased that Micah knew ladybugs have six legs and notice how they get smaller. It was too cute not to share. This week began with normal church on Sunday. And for the first time in a while I took Mariah to both services. We survived! I will leave it at that. On Monday morning Mariah's endocrinologist called us to give us bad news that the lab drew blood into the wrong tube. Dr. Jones was so upset for us. Really, he was more upset than I. He then called back about 45 minutes later to say it wasn't as bad as he thought and they would just be missing a few tests and we could likely get that at another time. Tuesday we took Mariah's re-adoption paperwork to a notary to get her signature and stamp. From there I ran the paperwork and Mariah's newest stool samples to the post office. I then stopped at the dry cleaners to pick up a sports coat that evidently we both had forgotten. We were called about it since this jacket had been there since May of 2011. YIKES!! I guess I'm not as organized as I would like to think. Who knew? Mariah's Certificate of Citizenship!! We have been waiting for this document since June 27th, the date of her Consulate Appointment. Now we can apply for her Social Security card.........maybe next week or the following. Wednesday was a day spent in my school room attempting to organize. Until Mariah woke up from her afternoon nap. We then went outside then fixed supper. Our middle three kids had their final program for "Bug Zone", our Wednesday evening children's program (picture above). I stayed home with Mariah as it seems she is still struggling with the parasite that Ch*na gave her as a parting gift. She has stomach cramps so bad that she is often buckled over in pain. It makes me feel so bad for her. The whole month of August, Jeremy has had an extra day off of work every each week, Thursday. That has been a nice bonus for us. So, I scheduled haircuts for the girls. While Kyle was having his trumpet lesson at the house, the girls and I went to Amber's shop and they got haircuts. Becca has wanted to grow her hair LONG! I didn't mind but I knew how it would end. She always has big plans for her hair, then gets tired of brushing out the knots. Mariah HATED her haircut at first. She was supposed to go first but it was obvious that was not going to work. Mariah screamed terribly! It was pitiful. It made me wonder what haircuts were like for her in the past. Becca thought she would show her it was not big deal and she went first instead. We put Mariah on my lap after Becca's cut. She cried but we gave her food! Balance was restored! And that brings me to Friday. Uncle Jeff came for a visit for the first time to see his newest niece. He came bearing gifts for all. Mariah got a Mr. and Mrs. Potato Head Newlywed set. She really enjoyed this. You can tell by her tongue sticking out! Then the bag went on her head. She learned that from a certain "Kaminski". Not that I put that past my husband, but it was not him. Thanks Uncle Jeff! So like any good Mommy, I allowed it then snapped a picture! Ben popped in just as I took this pic. Excuse his head in the bottom corner of the picture. Friday night the older four kids were invited to a birthday party of our neighbor at a local park. We took them to the party at City Park and Mariah visited the park for the very first time. First time swinging.....I think Ben is having a bit too much fun pushing! First time sliding.....notice the static in her hair? Since I don't get in many shots as I am the photographer, Jeremy snapped this picture. Too bad Mariah wasn't looking. Then I cannot resist but to post this cutie. In the car on the way home from the party, I snapped this picture of the sky as we drove across the bridge on Route 50 West. All I thought as I snapped this out of the window was how magnificent is God's splendor! Saturday was a day spent at home.....just being silly! Ben has been walking around with a red scarf around his head....like Rambo. So here is Mariah wanting to do the same. Oh, and we caught her right as she was planning on making a phone call, probably to Ch*na or LuXue in Michigan! Jeremy again has outdone himself. He has taught Mariah to bow. More mischief..........that is the power cord to my laptop. Helping Uncle Jeff play video games! She loved the buttons. They lured her in and she forgot there was a stranger providing her seating. Notice the red scarf on Ben's head? If you look closely, you'll also see Kyle wearing his headgear. This week looks just a crazy. Jeremy is off Monday for the holiday. Then Tuesday is our first day of school. Not sure if I'm ready for this but we have to start sometime. Along with being a mom to a newly adopted 20-month-old and the normal things a mom does, I will be teaching an 8th grader, a 6th grader, a 5th grader, and a 3rd grader. I'm exhausted just thinking about it!